Labor Day is a good time to reflect on the occupations of our ancestors. My great grandfather, Antonino Cimino, was a contadino or peasant farm laborer in Sicily. He immigrated to Omaha, Nebraska in 1906 and the 1910 census shows that he worked as a laborer for the railroad. Antonino moved his family to Sioux City, Iowa about 1912. On his 1918 World War I draft card, his occupation was written as: Laborer, C.M. St. P. at 22nd St. Yards, Sioux City, Iowa. 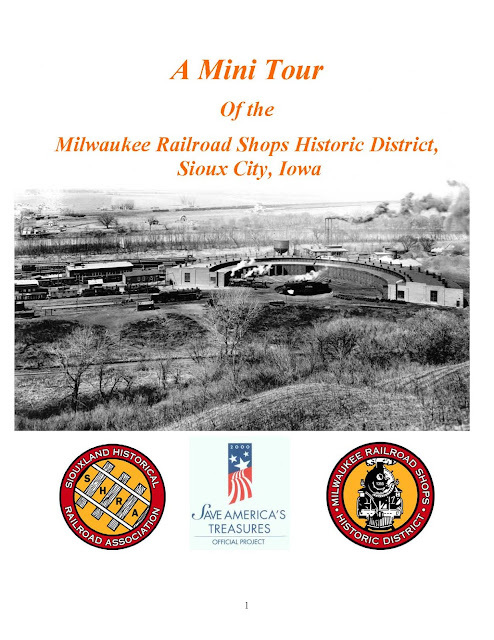 The abbreviation stands for Chicago, Milwaukee and St. Paul Railroad also known as the "Milwaukee Road". The 1920 census states that "Tony" was working in the Round House at the rail yard. Today the yard has been turned into a museum known as the Milwaukee Yard. A visit to this museum is on my bucket list! In the meantime, we all can take a mini tour of the Railroad Shops here. 1947 casing worker, Andrew DeWied Casing Company. 1949 his occupation changed to "driver" no company name listed. My father, Richard J. Cimino, worked while going to school at a service station and also baled hay. After high school, he worked as an Electrician Apprentice for 18 months but did not like that there were periods of unemployment in the construction industry. From 1956 to 1986, he was employed by Pacific Telephone as a supply man, installer, repairman and desk man on the test board. While in Woodland in the 1950's, he worked the graveyard shift supplying the trucks for the next day. There was a tomato field next to his building. He would pick ripe tomatoes and sprinkle them with salt for a delicious snack. In Sacramento, he worked at 24th & S Streets, as a supply man and later as an installer. He enjoyed going to the homes of customers when he was a telephone installer, especially the older homes. Sometimes he would offer to buy their unwanted trash that became his treasure. On one occasion, I remember that Dad took us to an old house that he had serviced so we could dig antique bottles in the backyard. Dad has always had a passion for antiques and collectibles. 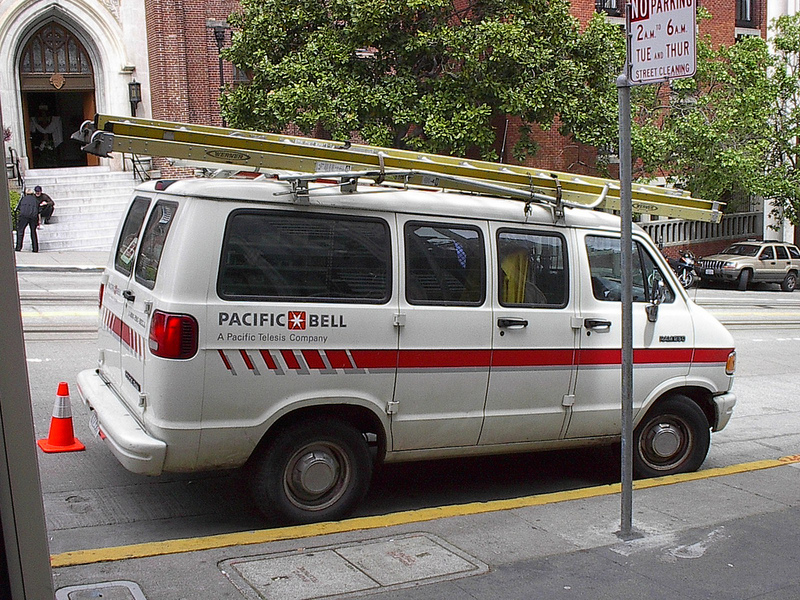 My father drove a truck similar to this one while employed with Pacific Bell in Sacramento and Santa Rosa. When I worked for the phone company in the summers of 1973 &1974, I drove a Ford Econoline at Lake Tahoe. When I was in college, Dad was able to get me a summer job with the phone company. He transferred to Santa Rosa and he says that was the best thing that ever happened to him. He loved the weather and the people of Sonoma County. After retirement from the phone company, he was employed as a school bus driver for the Windsor School District. He was fully retired by 1996. His retirement business has been buying and selling collectible toy cars. He had a camper van that he used to travel to toy shows inscribed with "Cimino's Machines in Miniature." One of my clients is interested in documenting her ancestor's occupational experience as a cowboy on the Chisolm Trail. The 1867 Settlement in Texas City is already well documented as a "Freedom Village" founded by ex-slaves who were cowboys on the Butler Ranch in Galveston County. 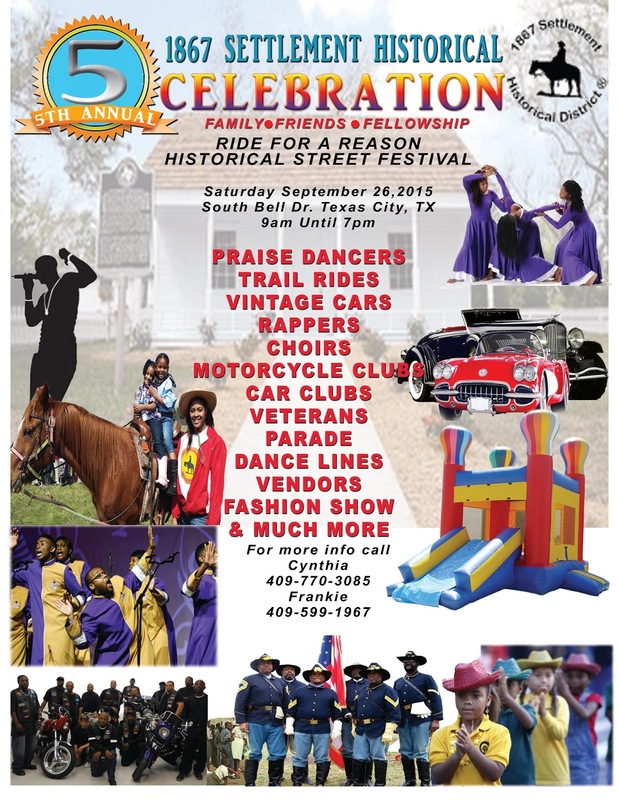 All are welcome to join the 5th Annual historical street festival in celebration of the 1867 Settlement Historical District. The event will include a parade, a trail ride and a new historical exhibit. See the flyer below for more information.